You’ll help us determine our strategy for eLearning. You’ll work closely with our product management teams to make sure you understand the features in each release. You’ll participate on product teams, join scrum meetings, and become product experts. You’ll work closely with our training and tech pubs teams to ensure our eLearning complements our other deliverables. You'll engage directly with Vlocity's services teams to understand the challenges that they're facing, giving you the feedback you need to develop our training. You’ll have the opportunity to engage with our partners and customers to make sure our training is effective. The training you build will be available on our learning management system via the Vlocity Success Community. The content will complement the other content that’s on the site, including our user documentation and Knowledge Base. You have experience in instructional design and eLearning development. You’ve done needs analyses and know how to choose the most appropriate medium for the information requirements. You’re a gifted writer, and have a penchant for making complex topics easy and engaging. You know when to use videos and graphics instead of words. You’re always scouring the web for new and creative ways to create eLearning and other forms of training. You know who's doing it right, and emulate them. You're aware of the best practices, but also want to create some of your own. You have a passion for making customers successful. You want to learn how customers use the product, and are always asking questions to fill in your knowledge. You dive into their use cases and understand their business challenges. You transform input from our services team into training so users can get up and running as quickly as possible. Vlocity is a fast-growing enterprise applications company focused on bringing industry-specific business processes to the cloud. 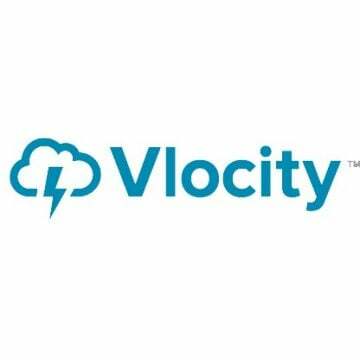 With over 300 employees around the world and customers on six continents, Vlocity has been the fastest-growing independent software vendor on the Salesforce Platform for two years running. Vlocity is currently shipping the Summer 2017 version of its application suite, and has raised over $100MM in capital from investors including Salesforce.com, Accenture, and Sutter Hill Ventures. Vlocity develops software to help communications, media & energy providers, insurance carriers, and government agencies digitally engage customers through their channels and devices of choice. We serve dozens of the world’s Fortune 5000 companies including Sky Italia, Telecom Italia, TELUS, 3, Telecom Argentina, Cellcom, New York Life, Farmers Insurance, Harvard Pilgrim, and Anthem. Our solutions run on our customers’ web sites, in their contact centers, and on the mobile devices of their service and sales professionals – providing a compelling, modern, omnichannel experience. Despite the complexity and sophistication of the enterprise business processes we enable, we believe the user experience should be as simple and compelling as a consumer application.